Have you ever heard about logical paradoxes? There are not so many of them and the most famous one is the hangman paradox. 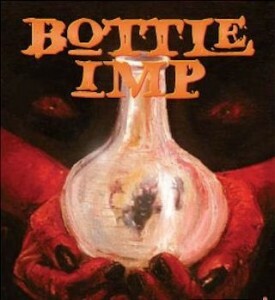 In the short story «The Bottle Imp» Robert Stevenson creates one more paradox, called the Bottle Imp paradox. The point is that the bottle bought at some price but must be sold at a loss. Otherwise it returns to its owner. 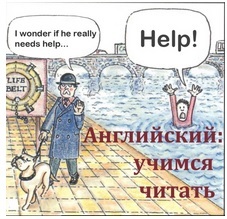 Would you like to know more about it and improve your English at the same time? Well, the only way is to read the story. The level of adaptation is beginner — pre -intermediate. There was a man of the Island of Hawaii, whose name was Keawe. This man was poor but brave and active. One day Keawe decided to see the great world and foreign cities, and he sailed to San Francisco. He went ashore and walked around the town, looking at the great houses with pleasure. «What fine houses these are!» he thought, «and how happy must be the people who live in them!»Suddenly Keawe saw a very beautiful house and he stopped and looked at the house in admiration. Then he noticed a man who was looking at him through a window. The man was old, with a bald head and a black beard. The man was sad, he sighed. Keawe looked at the man, and the man looked at Keawe, and somehow they felt that they envied the other. And he led Keawe all over the house, from the cellar to the roof, and everything was perfect there. «You could have a house like this, and finer, if you wish. You have some money, I guess?» said the man. And he opened a chest, and took out a round-bellied bottle with a long neck; the glass of it was changing rainbow colours. Within it something moved, like a shadow. — the glass changing rainbow colours – стекло, переливающееся всеми цветами радуги. Keawe took the bottle up and threw it on the floor; but it jumped on the floor like a child’s ball, and was not broken. «Of glass it is,»said the man, sighing again; «but the glass of it was made in the flames of hell. <…> but the glass of it was made in the flames of hell. — но стекло это изготовлено в пламени ада. An imp lives in it, and that is his shadow in the bottle. If any man buys this bottle the imp is at his command; all that he wants — love, fame, money, houses like this house, ay, or a city like this city- all are his. Napoleon had this bottle, and by it he became the king of the world; but he sold it, and fell. Captain Cook had this bottle, and by it he found his way to so many islands; but he sold it too, and was killed. 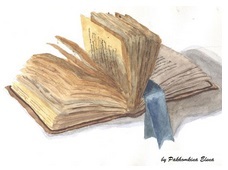 «And yet you talk of selling it yourself?» Keawe said. Читайте на второй странице продолжение книги на английском языке для начинающих «The Bottle Imp» by Robert Stevenson.